Following the post ‘Halloween and the Day of the Dead: Part 1!’ we continue with the story of George Oliver. 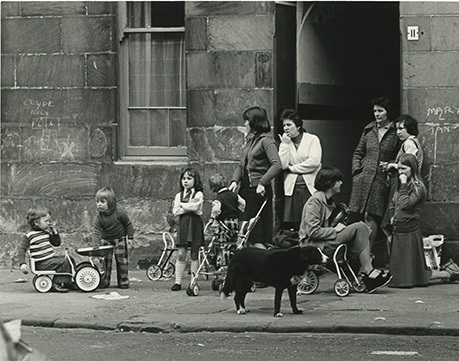 “An art school training, with drawing as the favourite means, plus a life-long enthusiasm for people and places, combined to make George Oliver a wide-ranging observer, not least because of the pen, in time, gave way to the camera as a recording medium”. George Oliver is perhaps less well known in the couple of George and Cordelia Oliver, but his artistic output was great. Educated at the Glasgow School of Art in 1938, George was called up to serve with the RAF where he ended up in New Delhi, mainly engaged in visual aids. 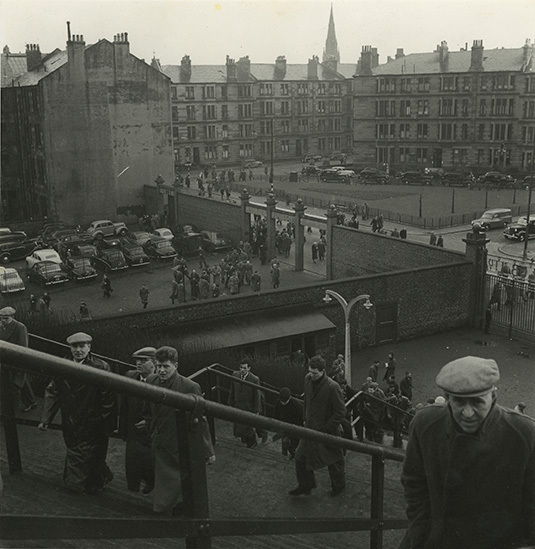 Upon returning to Glasgow for his diploma in Commercial Art he then worked for 18 months in London before becoming the art editor of Scotland’s SMT Magazine (Scottish Motor Traction). After this he spent the great part of the rest of his working life as a freelancer. 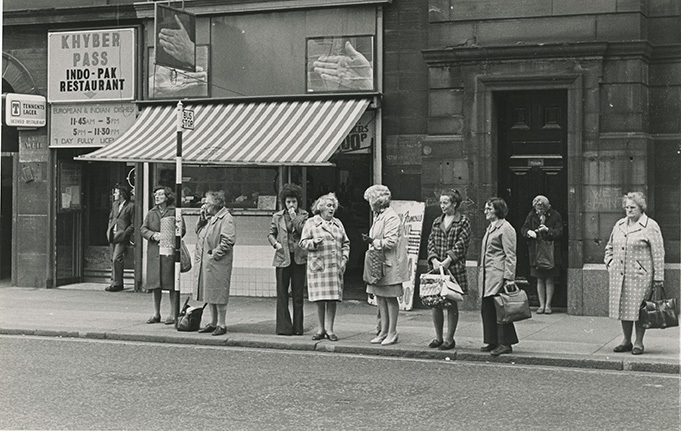 George Oliver’s artistic output is evident in the large collection of photographs that he created of Glasgow and its artistic scene which now reside in our archive, and in the publication of carefully illustrated books of English sport and early racing cars. Both of these outputs reflect George Oliver’s two great enthusiasms, motor cars and photography. 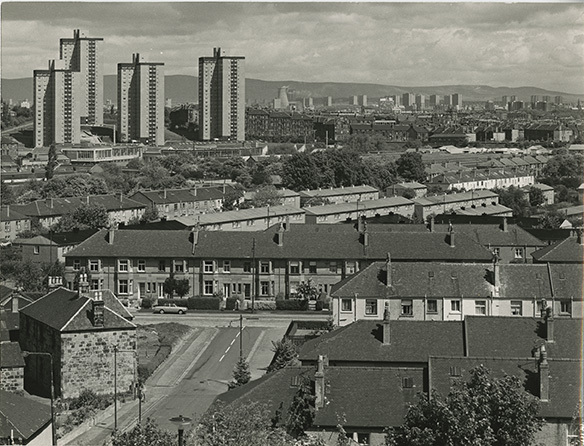 In the GSA Archives and Collections we now hold this massive photographic collection which records the changing landscape of Glasgow city throughout the course of George Oliver’s life, now documenting many buildings and structures that have since disappeared. 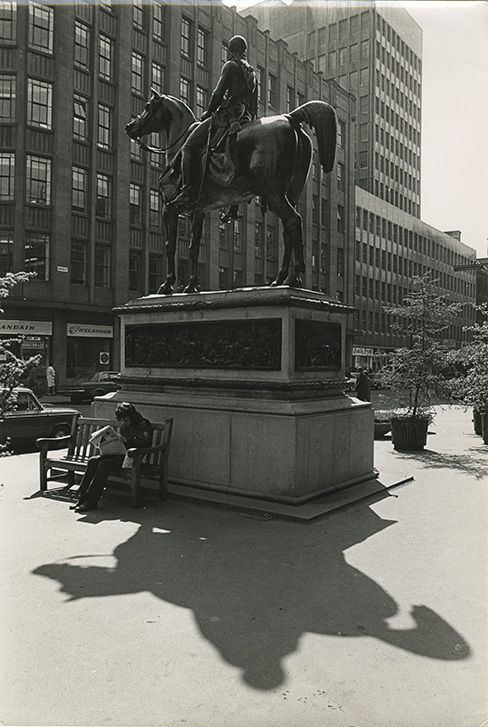 For more information on these photographs please see The Photographs of George Oliver which is a transcription of a talk Academic Liaison Librarian David Buri on these wonderful images. His love for motor vehicles is perhaps what George Oliver is now best known for as during the 1960s his work was opened up to a much wider audience through a series of distinctive coffee trable books. These books titled ‘Early Motor Cars’ covered the veteran and vintage years, English sports cars and early racing cars and were full of profile scale drawings of specific vehicles. In George Oliver’s biography The Seeing Eye it notes that many of these illustrations were cut of these books, and when future commissions came in, such as the commission for an illustrated history of the Citroen, the pages were deliberately fixed in a way that made their removal an easy matter. George Oliver continued to write and illustrate books about motor cars and take photographs until his passing in 1990. Finally, the last person we are celebrating today is the spectacular Eugene Bourdon. As regular readers of the blog will know, Bourdon has featured recently in a series of four blog posts titled Remembering Bourdon and he deserves the attention. Born in Paris on the 16th July 1970 Bourdon studied at the Ecole de Beaux-Arts as a pupil of Aterlier Honore Daumet. 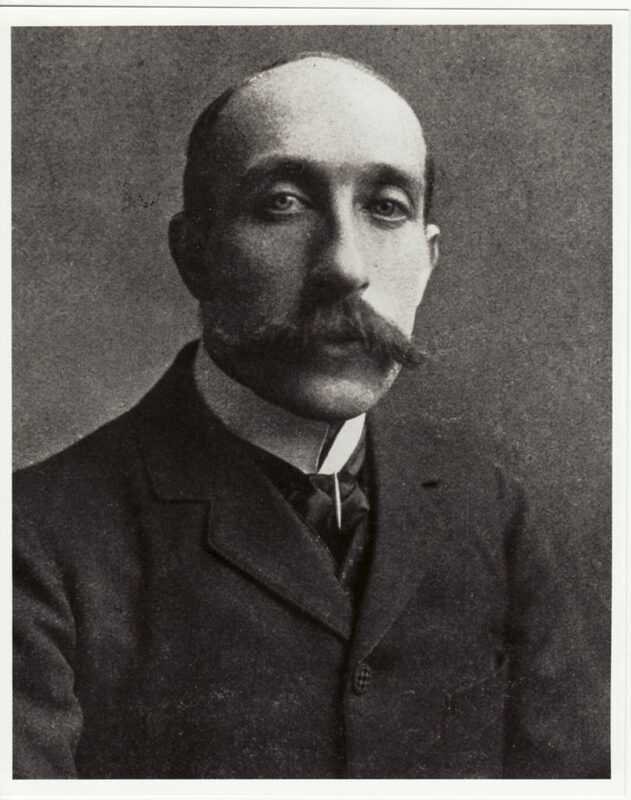 Following his graduation in 1896, and his work as an inspector for the French Government at the Paris Exposition Universelle 1900, Bourdon was interviewed by the newly appointed Professor of Design at the GSA, Adolphe Giraldon. Asked to write a report on the condition of architectural teaching here at the School, Bourdon agreed to carry out the task and following a visit to GSA in 1904, the report was complete. 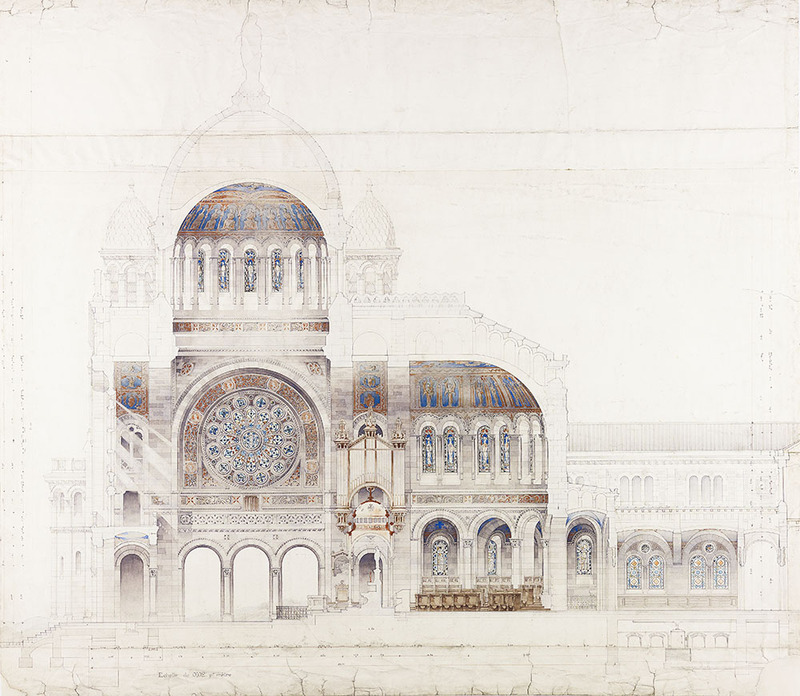 Part of this report recommended the appointment of a Beaux-Arts trained professor to lead the newly created Department of Architectural Design. The School was impressed by the report and Bourdon’s credentials and asked if he would be interested in taking up the post himself. Bourdon accepted and the School gained its first Professor of Architecture. Following his appointment Bourdon worked hard in the department and fostered a strong focus on the merits of past traditions and classicism and the beaux-arts with the needs and demands of the modern world, striving to provide students with a well-structured and broad syllabus. After the outbreak of the First World War Bourdon was eager to serve and was allocated to the 78e Brigade. From correspondence in our archives we find details of his experience of the war, his actions, and his death, killed in action at the Somme on the evening of the 1st of July 1916. The impact of this loss to the School is clearly evident in the letters of sympathy and correspondence from his colleagues and Madam Bourdon, that express their reactions to the news of Bourdon’s passing. This year to further mark the 100th anniversary of his death and the contribution that Bourdon has made to the Glasgow School of Art, the GSA Archives will be curating the exhibition Euguene Bourdon: From Classroom to the Battlefield focusing on Bourdon’s career. 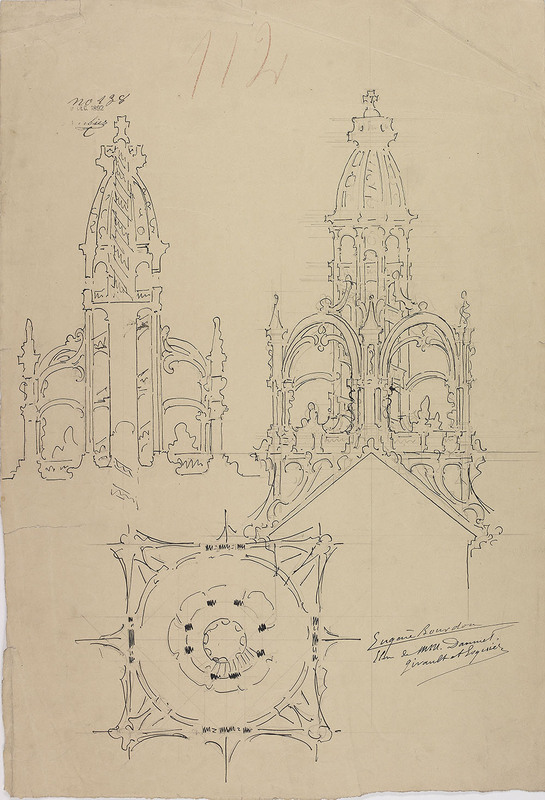 Featuring many of the architectural drawings and correspondence that we hold in our Archives and Collections this exhibition will highlight many of these previously unseen works. The exhibition opens on the 5th November and runs until the 4th December in the ground floor of the Reid Building. This concludes our Halloween and Day of the Dead posts! Until next time!